The US Army asked the Czech government to allow flights of reconnaissance drones over the Czech Republic. The drones will be sent to the Russian border as a part of NATO mission to deter alleged "Russian aggression". NATO seeks to make a deal with EU countries on the free movement of NATO forces across Europe. The bloc has already overcome some bureaucratic hurdles and revised procedures that help to move troops faster. In an interview with Sputnik, Alexander Cerny, MP in the Czech Parliament and member of the Communist Party, commented on the US‘ request for the free movement of Global Hawk drones over the Czech Republic. According to Cerny, the request for permission was sent by the US government a few months ago, however not all Czech politicians support the idea. At the same time, the ruling elites are willing to ensure that US military drones could move freely over the territory of the Republic, Cerny argued. "Representatives of the Czech Republic, of course, do not consider it necessary to inform the public about these proposals," the politician said. "Apparently, our ruling elite is not worried about the fact that Global Hawk drones carry technology for espionage, which, besides taking pictures, can do many other things important for the Americans. For example, monitoring telephone conversations. The Germans have already faced this problem. They had really a lot of difficulties with it," Cerny said. According to him, there is an impression that the Czech Republic is giving up its sovereignty for the prosperity of its so-called partners. "We have a free state, but in this case many of us think that we just serve the United States, or rather, NATO," Cerny concluded. Earlier, members of the organization Czech Peace Forum wrote an open letter to the country's prime minister, telling him that the NATO does not serve the interests of the Czech people. 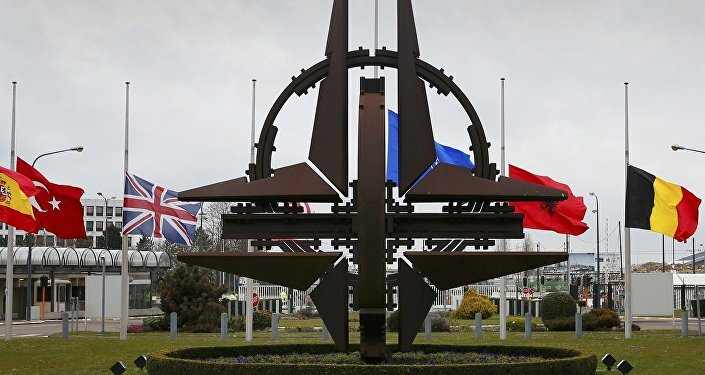 According to the organization's president Vladimira Vitova, she and other members are worried about NATO's increasingly belligerent and detrimental effect on world peace, as well as the reluctance of the Czech government to represent the interests of the Czech people.